Donâ€™t sweat the small stuff. Thatâ€™s the motto 36-year-old Jennifer Giliberto now lives by after recently welcoming a third child into the world. Late night feedings, diaper changes, mounds of dirty laundry and caring for two older boys (ages six and eight) would certainly be a challenge for most moms. But this mom is different. Four years ago, Giliberto was diagnosed with a brain tumor â€“ a slow growing Grade II astrocytoma located in her posterior right temporal lobe. The shocking diagnosis left Giliberto and her family with many choices and decisions to make. Gilibertoâ€™s inspiring story was profiled on CNN on Aug. 16, 2011 in a special â€œHuman Factorâ€ segment, which takes a look at people accomplishing something significant after overcoming the odds. After her second child was born in 2005, Giliberto began noticing a pattern of problems with her fine motor skills. Neurological testing revealed little, but an MRI (magnetic resonance imaging) revealed a lesion and possible tumor in the brain. 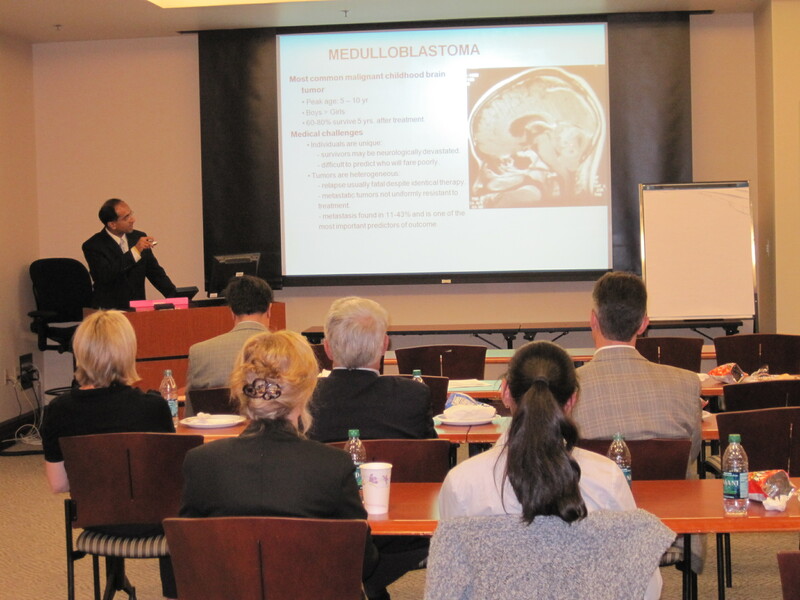 Follow-up MRIs over the next year showed no new growth, but in June 2007, a definite brain tumor was detected by MRI. While taking the watch and wait approach to determine if the tumor would grow, she became involved with the Southeastern Brain Tumor Foundation (SBTF) as a volunteer. 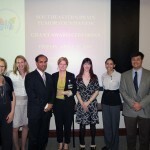 She focused her efforts on raising money to support critical brain and spinal tumor research. 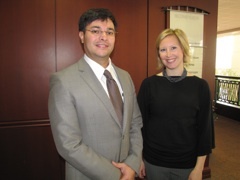 She also met Emory neurosurgeon Costas Hadjipanayis, MD, PhD. 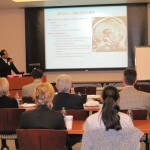 Hadjipanayis, an assistant professor in Emoryâ€™s Department of Neurosurgery, would soon become Gilibertoâ€™s physician. He confirmed her diagnosis and recommended surgical removal of the tumor. Then he encouraged her to embrace life and live it to the fullest. Giliberto has taken her doctorâ€™s orders to heart, and lives life with a new purpose than before. 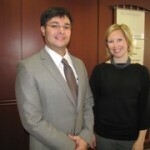 To support and encourage other brain tumor patients, Giliberto serves as a patient and family advisor at Emory University Hospital Midtown. She visits with hospitalized patients and their families who are in similar situations as the young mother of three. Patient and family advisors also work to improve hospital processes and procedures from a patient perspective. She also serves as vice president of the Southeastern Brain Tumor Foundation, continuing the mission to raise funds for research. 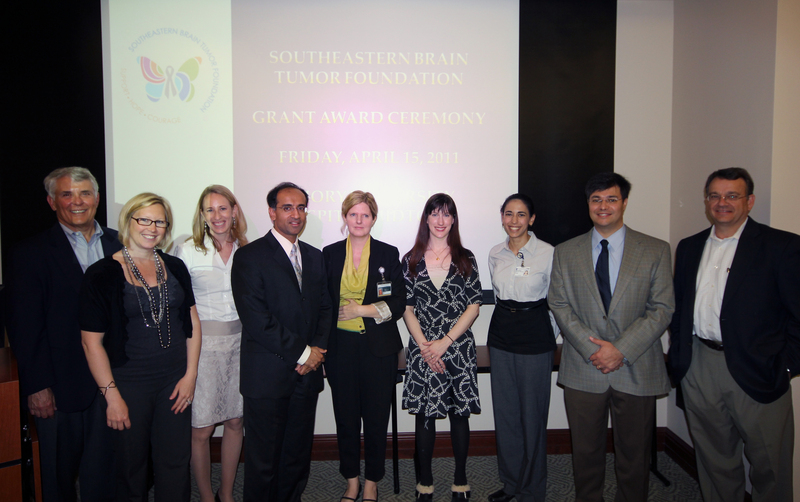 The SBTF consistently funds innovative brain tumor research at Emoryâ€™s Winship Cancer Institute. And she is a devoted wife and mother. Last year, when Giliberto and her husband decided they would like to expand their family of four, she consulted with Hadjipanayis. He, once again, encouraged her to live life and move forward. They did, and their youngest child was born in July 2011. While Giliberto has remained stable since her surgery in 2008, she continues to have MRIâ€™s every six to nine months to check for any tumor recurrence. Astrocytomas, even once removed, can recur and can also become cancerous. But for now, itâ€™s on with life as she knows it â€“ stable, moving ahead and enjoying every day with a new sense of hope. And as for the small stuff â€“ Gilibertoâ€™s learned thereâ€™s just no reason to sweat it at all. A new pilot simulation laboratory at Emory University Hospital Midtown (EUHM) is providing medical students, residents, nursing students and staff with hands-on training to develop, perfect and maintain their skills. Located in the former obstetrics/gynecology (OB/GYN) operating rooms, space that wasnâ€™t currently being utilized, the lab focuses on team building, clinical competencies and research. This is the first simulation lab of its kind at EUHM. The simulation lab is a joint venture of Emory Healthcare and Emory University School of Medicine, both providing equipment to outfit the lab and a wealth of expertise. 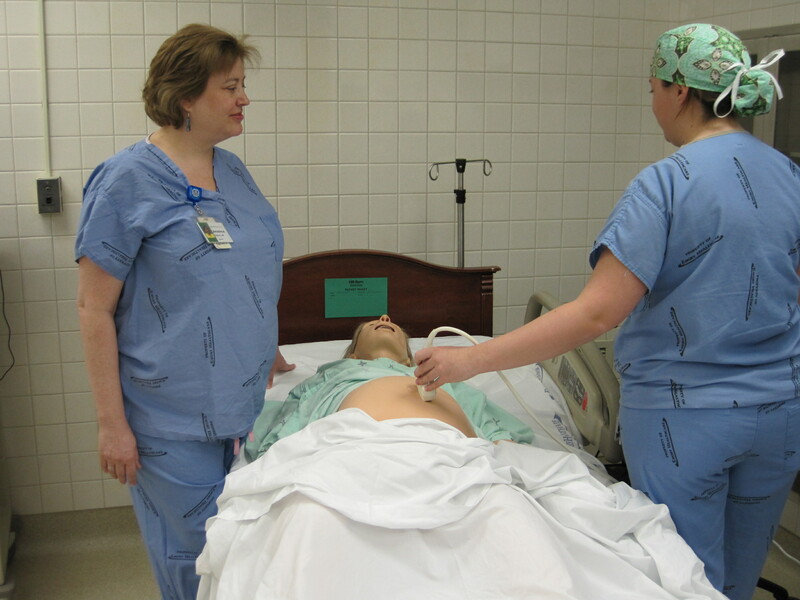 Nursing Education, a department within Emory Healthcare, and the Emory School of Medicine have worked together in the development of the simulation lab. Some equipment being used has been donated or given to the hospital for training purposes. One side of the simulation lab is set-up to train OB/GYN residents and students in deliveries and laparoscopic surgeries, cardiac arrests, mock codes and low volume/high risk procedures. The other side of the lab focuses on nursing training, nursing education, central-line and intravenous insertion and medication dispensing. It is also being used by nursing for competency validation for new nursing employees and for annual skills assessment of current nursing staff. Those instrumental in setting up the nursing side of the simulation lab are Sharlene Toney, PhD, RN, executive director, Professional Nursing Practice for Emory Healthcare, and Beth Botheroyd, RN, BSN, MHA/INS, nursing education coordinator for Emory Healthcare. Toney says the lab is a critical part of the training and education of new nurses and current nursing employees, while also focusing on process improvement activities concentrated on patient safety. Nurses also have the opportunity to test their skills on training simulators and new equipment while in the lab. Douglas Ander, MD, associate professor of emergency medicine and director of the Emory Center for Experiential Learning, and Jessica Arluck, MD, assistant professor of gynecology and obstetrics and associate director of the OB/GYN residency program at Emory, both oversee the training of residents and medical students in the simulation lab. Ander describes the lab as a â€œproof of conceptâ€ center, with the small set-up being only the first step in the process. Down the road, he envisions a larger simulation center for all Emory Healthcare employees, Emoryâ€™s School of Medicine and even the community. Arluck observes as resident Hudson performs an ultrasound on Noelle, the birthing simulator. 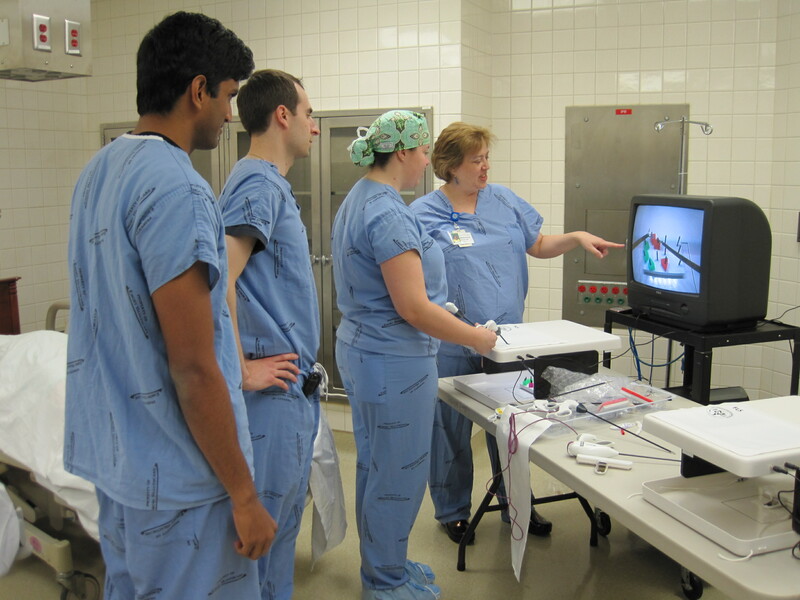 Arluck says she uses the simulation lab regularly with OB/GYN residents, teaching them the basics of laparoscopic surgery on a training module and monitor. She also teaches students with the help of an adult-size doll named Noelle, which simulates delivering a baby and going into cardiac arrest. 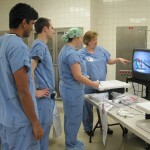 The simulation lab has also opened the door to medical education research. Emory pulmonary critical care fellow, Jenny Han, MD, is studying to see if a standardized, advanced cardiac life support simulation training has any effect on real patient outcomes in the hospital. In the future, plans include adding cardiac catheterization simulator capabilities, as well as emergency department and nursing station simulation space. 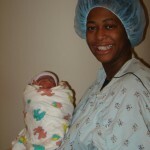 Emory University Hospital Midtown (EUHM) rang in 2011 with some new bundles of joy. The hospitalâ€™s first baby of the New Year was born at 1:35 am. Little Elijah Jacobs Westbrook made his surprise appearance about six weeks early, says his mother, LaSonta Westbrook. The 4 lb., 6 oz. little boy was quickly greeted by his three big sisters, who enjoyed seeing him through the nursery window. As the first boy in the family, Westbrook says Elijah can expect lots of â€œmotheringâ€ from his sisters. A little more than an hour later, EUHM welcomed its first set of twins in 2011. At 2:49 a.m. and 2:58 a.m., twin girls Sidney and Taylor Mency were born. 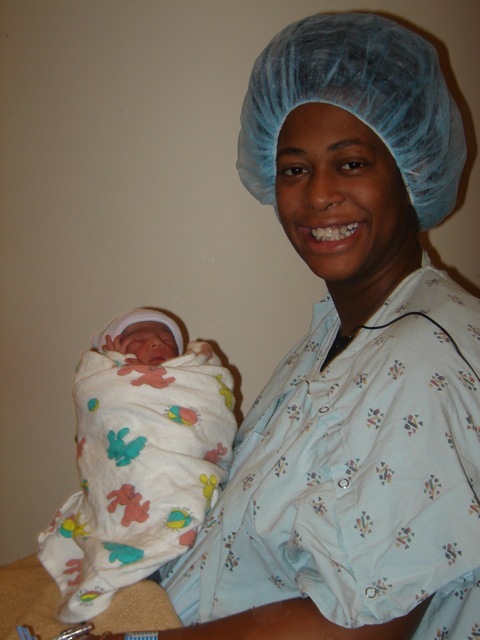 Also a little early, mom Jazmin Mency says the gift of her girls is a wonderful way to begin the New Year. The hospital ended up delivering 14 babies on January 1, 2011 (including the three mentioned), a busy way to kick off the New Year. EmoryÂ University Hospital Midtown features a comprehensive maternity center that combines all maternity services on one floor, including labor and delivery, mother-baby suites and general and special care nurseries. Its design reflects the hospitalâ€™s unique philosophy of developmentally supportive care, encouraging family involvement and ensuring optimal infant development. EUHM opened the first neonatal intensive care unit (NICU) in the Southeast in 1981, and currently, it serves as the Emory Regional Perinatal Center, one of five centers in the South designated to care for high-risk infants. With a Level III-designated NICU, the hospitalâ€™s skilled neonatal nursery staff has the expertise and technology to care for and treat almost any medical or surgical complication in sick and premature infants. They are the hospitalâ€™s tiniest patients, and many must overcome the odds of prematurity and severe illness to survive. These premature babies, often called â€œpreemies,â€ are cared for by the physicians and staff in the Special Care Nurseries at Emory University Hospital Midtown (EUHM). The state-of-the-art nursery, designated a Level III nursery, provides the widest variety of advanced care available for premature and sick newborns. The neonatologists and nursery staff are all highly skilled in caring for these little babies and their many needs after birth. They also must teach the parents to care for their little ones when they go home. Some of the infants are there for just a week or two. Others are there for months. And during their stay, special bonds are formed and many precious milestones are shared between the families and their caretakers. Each December, doctors, nurses and staff in the Special Care Nurseries come together with the â€œpreemie graduatesâ€ and their families to celebrate life and renew acquaintances at the hospitalâ€™s annual â€œPreemie Party.â€ The Special Care Nurseries held its 27th annual Preemie Party with more than 100 families in attendance. Itâ€™s a time for grateful family members to once again thank those who cared for their babies when they were so fragile and sick. And itâ€™s a time for the hospital staff to see how the little ones are growing â€“ many now toddlers, school-aged children, teenagers and some even in their 20s return. Critz, who is an associate professor of pediatrics, Emory School of Medicine, has cared for hundreds of preemies during her 29-year tenure at Emory University Hospital Midtown. All babies born at the hospital, including preemies, experience a concept called â€œfamily-centered care,â€ which encourages parents to assist in caring for, rocking, holding and feeding their babies daily. Despite all of the tubes and monitors needed for the preemies, this family-centered care is vital. 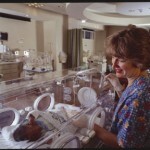 Critz notes that the technique is extremely important in the neonatal intensive care unit, called the NICU. Bonding with even the smallest infants in the early stages is critical for the babyâ€™s development. She and her colleagues have found the more parents are involved with the care of their preemies, the better the babies thrive. EUHM has been a leader in neonatal care for as far back as the 1940â€™s. The hospitalâ€™s NICU opened in 1981 and currently serves as part of the Emory Regional Perinatal Center, one of six regional perinatal centers in the state to care for high-risk infants. 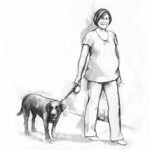 Learn more about the maternity center at EUHM. 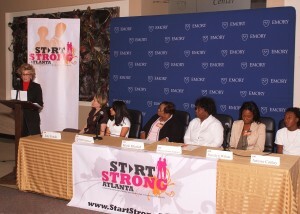 Jane Fonda, founder/chair of the Georgia Campaign for Adolescent Pregnancy Prevention (GCAPP), along with local teenagers and Atlanta community groups have launched the Start Strong: Building Healthy Teen Relationships Program. Its goal is to stop teen dating violence and abuse before it starts. The Jane Fonda Center at Emory was chosen as one of 11 community organizations nationwide to receive $1 million in funding through the Robert Wood Johnson Foundationâ€™s national Start Strong initiative. This is the largest national public health initiative ever funded, targeting 11-to-14-year-olds, to stop teen dating violence. Fonda says the initiative, both locally and nationally, promises to educate and empower teens and their surrounding communities that dating violence and abuse among teenagers must be stopped before it ever starts. With teen dating abuse a significant public health issue in this country, Fonda wants to focus on teaching young people to develop healthier and more positive relationships at an early age. As part of this four-year initiative, Start Strong Atlanta will rally the entire community, including teenagers, parents, caregivers, educators, coaches and community leaders to build environments that support healthy relationships and ensure violence and abuse are never tolerated. 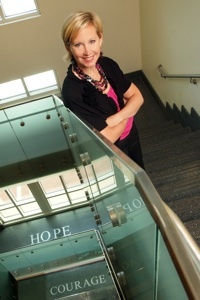 Melissa Kottke, MD, MPH, assistant professor in the Department of Gynecology and Obstetrics, Emory School of Medicine, is the director of the Jane Fonda Center. She notes that October is Domestic Violence Awareness Month and the campaignâ€™s launch was the perfect tie-in. Kottke is also the principal investigator of the national initiative at Emory. The Jane Fonda Center along with its partners, Atlanta Public Schools and Grady Memorial Hospital Teen Services Program, have together developed a comprehensive community plan for this initiative. This plan will focus on four core strategies involving education, policy change, community outreach and social marketing campaigns to empower local teens to develop healthier relationships. Learn more about Start Strong Atlanta and other related events going on during Domestic Violence Awareness Month. Find out what Fonda said about the event on her blog.